There are many commonly known causes of hearing loss, but few people realize the dangers that certain chemicals pose to their hearing. While there several groups of people at risk, those in industries such as textiles, petroleum, automotive, plastics, and metal fabrication have increased exposure. Knowing what these harmful chemicals are and what precautions you to take can help preserve your quality of life. Why Are Certain Chemicals Harmful? The word “oxotoxic” means that something has a toxic effect on either the ears themselves or the nerves in the ears that help us hear. Certain chemicals are oxotoxic, and people can be exposed to these chemicals at home and in the workplace. They may absorb these chemicals through the skin, inhale, or ingest them. Once these chemicals are in the body, they can travel to the delicate nerves and other parts of the ear. The resulting hearing loss may be temporary or long-term, and the effect is worse when noise exposure is also at high levels. Pharmaceuticals – Drugs such as antibiotics, diuretics and analgesics can damage hearing. Talk to your regular doctor and your hearing health specialist about any dangers posed by your medications. Solvents – Certain industries such as plastics and insulation use solvents such as styrene and carbon disulfide in manufacturing. if you work in these industries, talk to your workplace safety officer about the level of exposure you may have, and wear all of your safety equipment. Asphyxiants – Asphyxiants lower the amount of oxygen in the air, and include things like carbon monoxide and tobacco smoke. Vehicles, gas tools, stoves and other appliances may put out harmful levels of these chemicals. 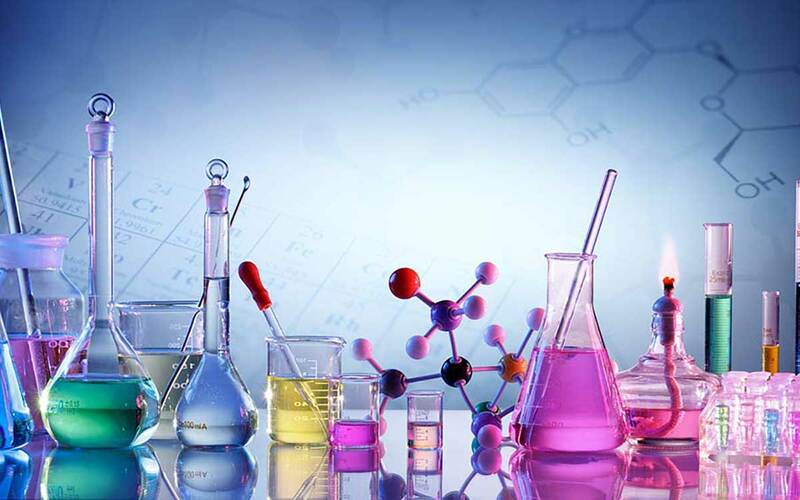 Nitriles – Nitriles such as 3-Butenenitrile and acrylonitrile are used in making products such as automotive rubber and seals, super glue, and latex gloves. Nitrile-based products can be beneficial because they help repel water, but exposure can damage your hearing. Metals and Compounds – Metals such as mercury and lead have other adverse effects on the body, but they can also lead to hearing loss. People in the fabricated metal or furniture industries may get exposed to these metals frequently. The key to protecting your hearing from chemical exposure is to take precautions. If you work in an industry such as automotive, firefighting, plastics, pesticide spraying, or construction, ask your employer about exposure levels to these chemicals. Make sure you use every safety material your job provides, such as protective gloves, garments, and masks. When you are home, read all safety labels on products and follow the instructions to the letter. Use proper ventilation, including opening windows, and stay away from any chemicals or ask for help if you can’t decipher any of the labels. Take extra precautions if you are around noise at the same time as chemicals, as the two can have a cumulative effect on your hearing. If you can’t avoid chemicals or are on medications, make sure you have regular hearing tests so you can try to nip any problems in the bud. Your audiologist is experienced in dealing with the various causes of hearing loss and can help you come up with a plan to prevent further damage.